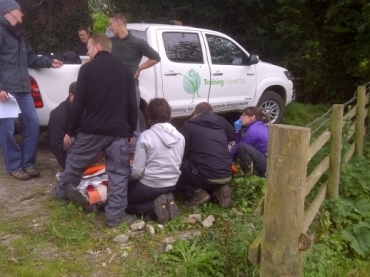 This 16 hr practical course covers outdoor first aid for vehicle emergencies. It focuses on first aid skills related to off-road driving & remote areas. It covers the core life-saving skills to deal with an incident through plenty of hands-on practice including vehicle based and outdoor scenarios. Outdoor first aid for vehicle emergencies is a two day course aimed at anyone who uses off-road vehicles or drives off-road professionally or in their leisure time. Skills learnt on this course will enable you to provide help in a first aid situation be it at an off-roading event, whilst driving yourself, at work or the day to day first aid incidents you could come across on the road or even just at home. It is certified by REC and meets the needs of off-roaders, or anyone working in and around vehicles needing an emergency first aid qualification for work or simply for their own peace of mind. There are no prior first aid requirements and on completion of the course you will received a certificate from REC valid for three years.